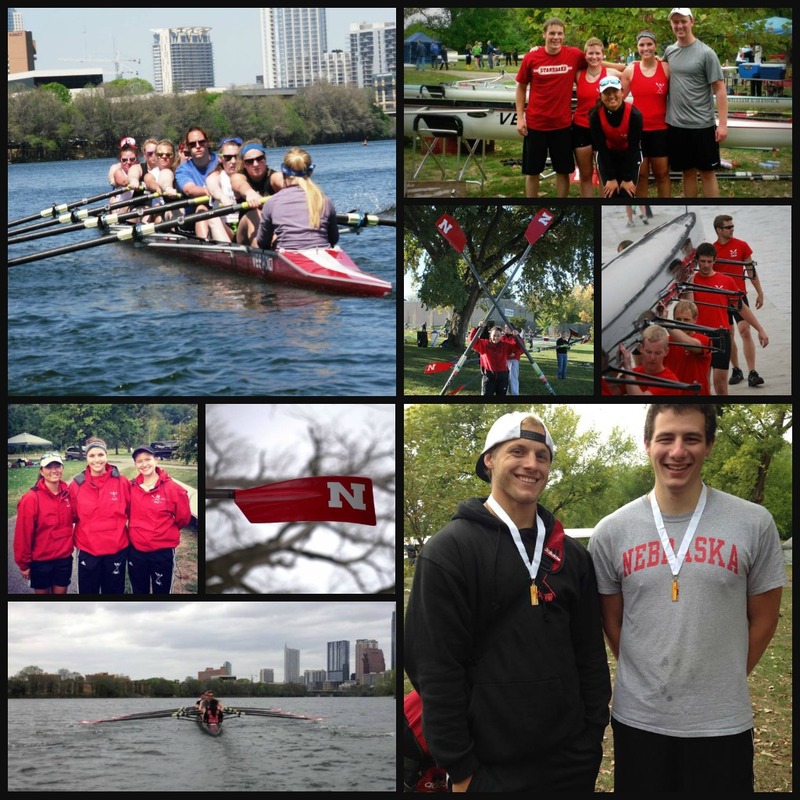 The University of Nebraska Crew Club was founded in 1969. A men's team was formed and a women's team started shortly after in 1972. The team got started with the help of the Campus Rec Center. Today, the Nebraska Crew Club practices at Branched Oak Lake northwest of Lincoln. The Novice and Varsity teams try to get on the water as much as possible until it is too cold. Indoor winter workouts consist of erging, cardio, and weight lifting. The team travels to Waco, Texas over Spring Break to train on the water. They also travel to many states in the Midwest for outdoor and indoor competitions in the Fall and Spring, including Kansas, Iowa, Illinois, Minnesota, Oklahoma, and South Dakota. We take anyone who is willing to learn and work hard; no prior rowing experience is required. If you are looking to try something new and exciting then come check us out! Contact us via social media or email if you're interested in learning more or joining our team! UNL Students can also find us on NVolveU. See the Contact page for details.